Apple released iPhone SE in March 2016 and now it’s three years that this tiny device exists. iPhone SE successor is expected in the form of Apple iPhone SE Plus and here we go through all the detail about the Apple iPhone SE Plus release date, availability info and price in US/UK/Canada/Australia/India details. 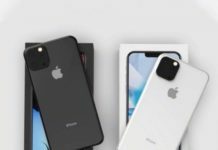 In 2019, the Cupertino tech giant has planned to unveil all new Apple iPhone 11, iPhone XI Plus and iPhone SE+. The iPhone SE+ was earlier expected to launch as iPhone SE 2. Going by the rumors, the Apple iPhone SE+ according to news is expected to come up with a 6.1-inch display. The iPhone SE Plus will be unveiled at the fall 2019 event along with iPhone XI and XI+. As of now no word has been said on the Apple iPhone SE+ price but it’s expected to be around 399 USD.